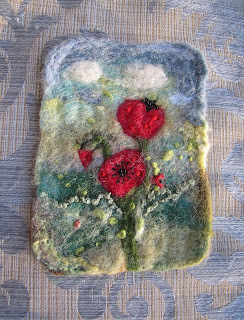 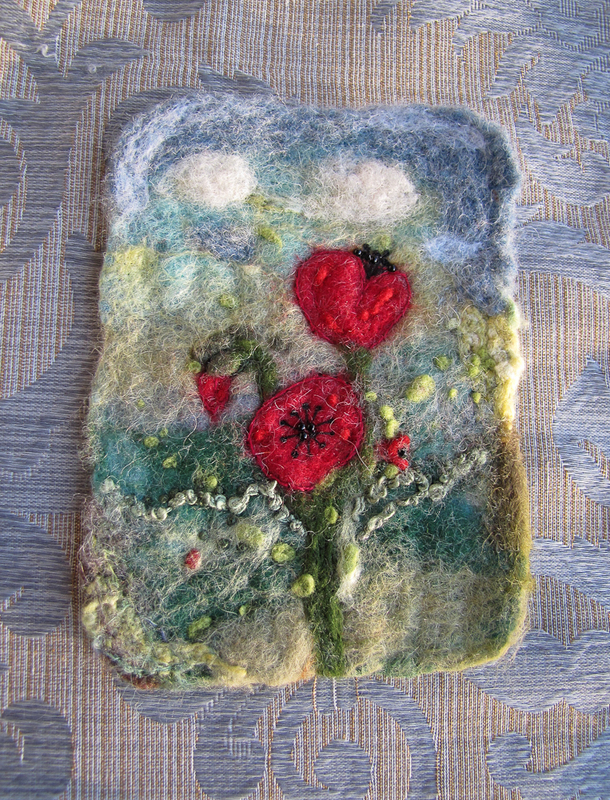 I did this small piece last year which was my first attempt at wet felting. 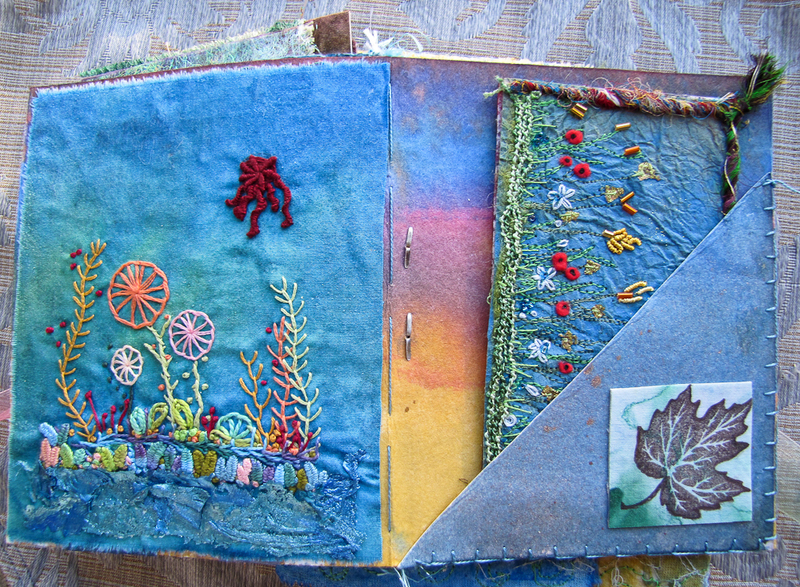 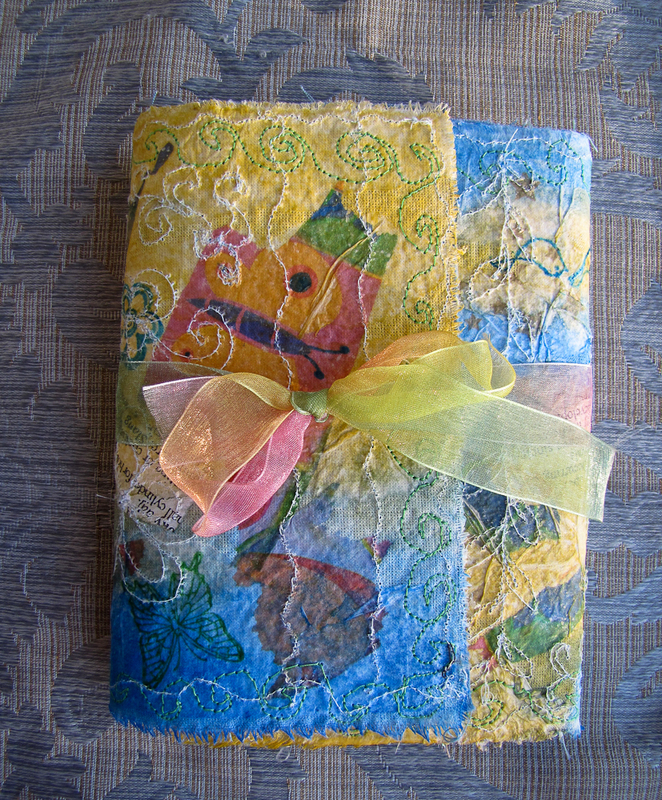 For our stitchery guild program this past year we worked on a mixed media book. 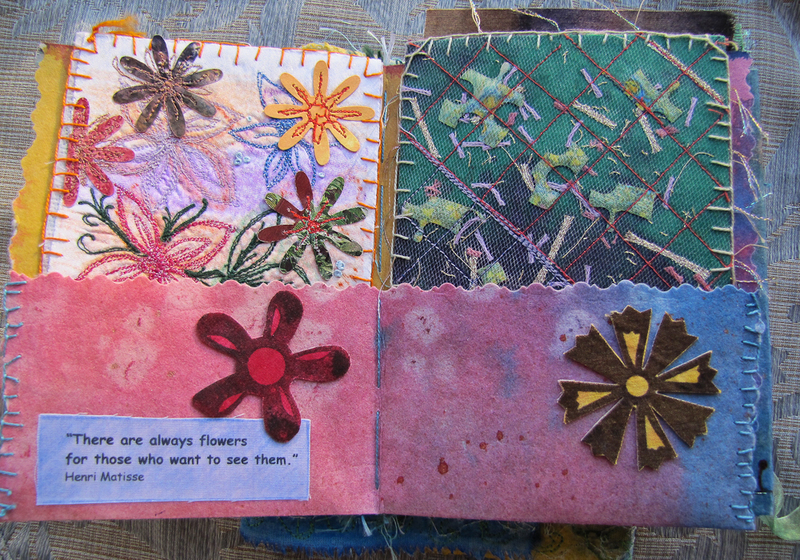 Various pages from my Mixed Media Textile book. Book pockets for a few atc's. 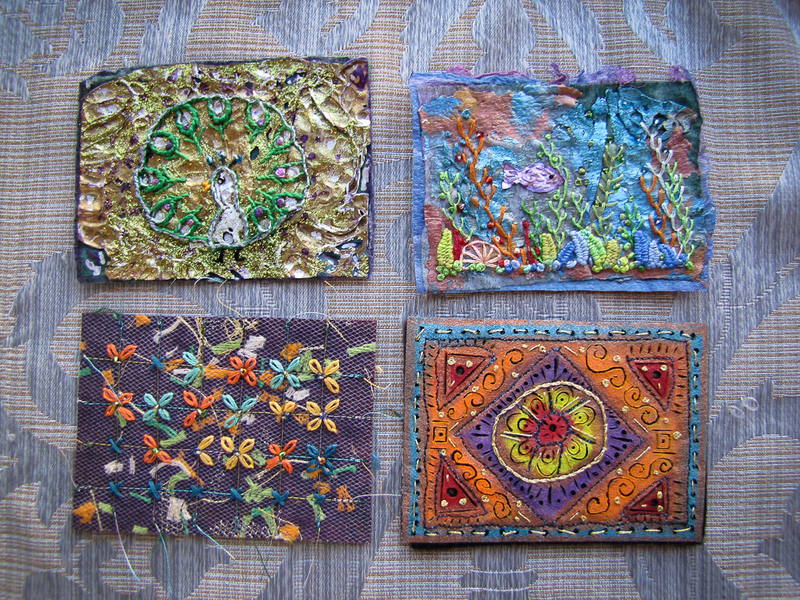 A bit of Tyvek, painting, soldering and stitching on these 4 atc's. 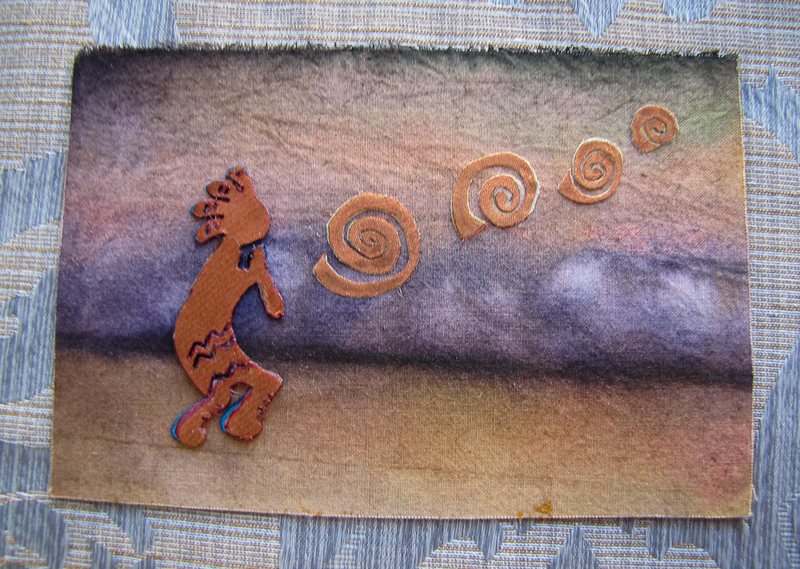 Postcard size experiment with painting on cotton. The kokopelli & swirls are pieces of organza. 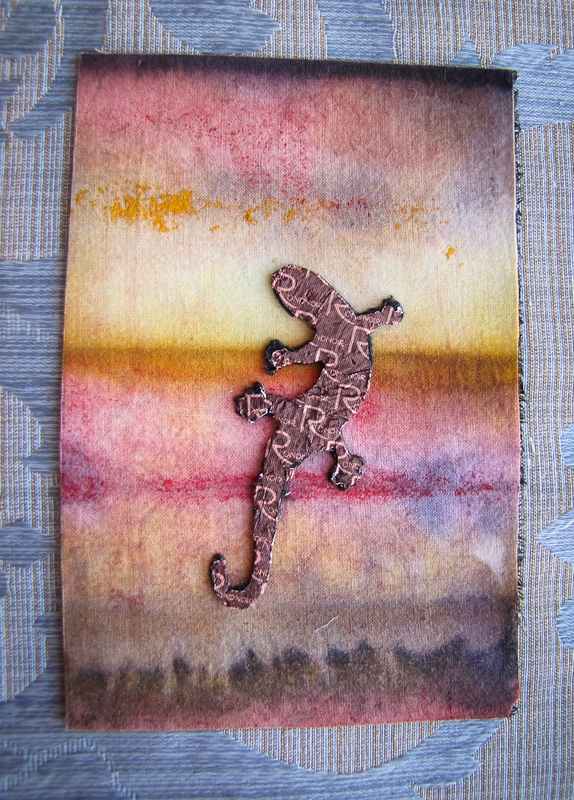 and another bit of painted cotton with a salamander made from a candy wrapper fused onto a piece of black felt. 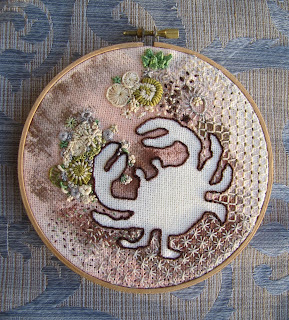 It sure would be great if we had a few people join our guild from seeing our presence out in public and stitched pieces on display. 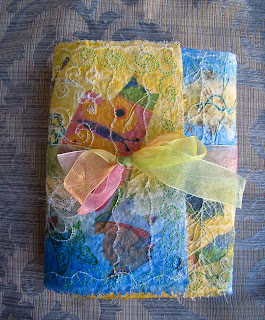 Here's hoping! 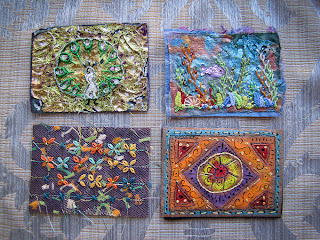 A great variety of work Jeanette. I especially love the Salamander and your book. 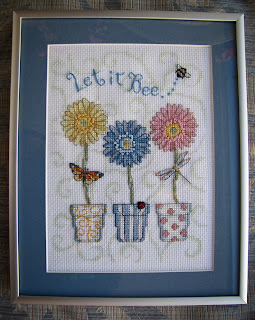 Those are wonderful Jeannette!! I especially love the crab but the variety of techniques are so much fun. I've done some, and gathered supplies for more but haven't done more lately at all. Love the variety of your work... the variety you have shared is wonderful... thanks for sharing.. and best wishes to the Chapter on the occasion of their show. 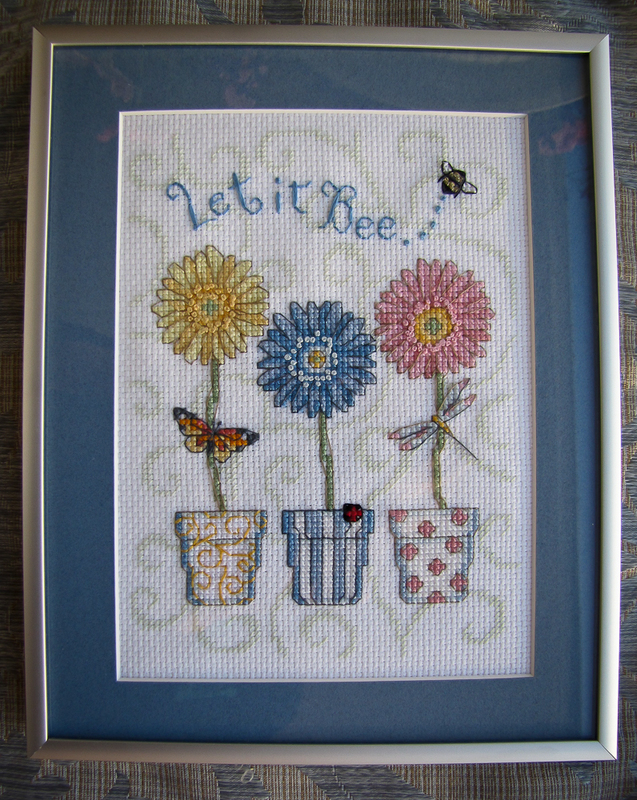 Love your stitching. 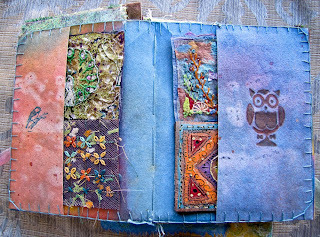 Such a wide variety of techniques.